Taylor Swift was not at the Grammys last night. She didn’t win any either. And her fans are pissed because it means that the reputation era is Grammy-less. Apparently some of them are threatening a Grammys boycott. Ohhhh kayyyyy. I get it. We’re all mad when our faves don’t win. The thing is though? Taylor wins a LOT. Taylor has TWO Album of the Year Grammys – the biggest most important Grammy category. You know how many Grammys Diana Ross has won? None. She was given a Lifetime Achievement Grammy a few years ago. Taylor’s not even 30. She just signed a new record deal. There are going to be so many more Grammy opportunities. She’s going to be the Tom Brady of the Grammys, don’t worry. I just came up with that and I’m pretty proud of it. 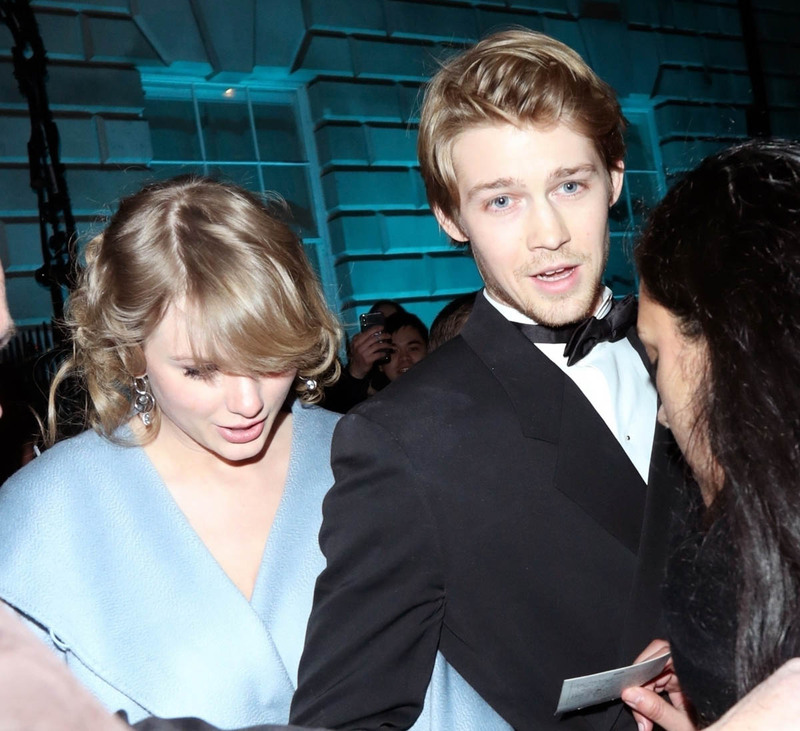 Anyway, while music celebrated “music’s biggest night”, Taylor’s been in London. She’s working on Cats (still don’t understand this movie) and over the weekend was seen at a couple of different pubs in Hampstead and Notting Hill with Joe Alwyn. It’s the English era. Last night, Joe was at the BAFTAs where The Favourite won Best British Film. 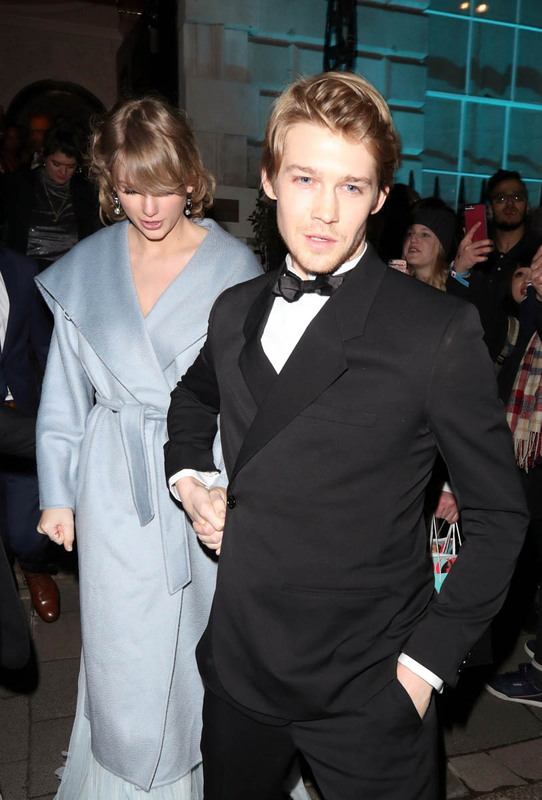 She joined Joe at the after-party in Stella McCartney. Word is Taylor was pretty accessible – by her standards – at the party, taking selfies with people, lettings others creep her in their Instastories, even as she greeted Joe with a hug. At the end of the night they left holding hands. Next up for The Favourite: the Oscars. If Joe’s there as part of The Favourite, will Taylor be there with him? Will she present like she did at the Golden Globes or just join him at the party later? Also… there’s a rumour that she’s covering both the US and the UK issues of ELLE Magazine in April. A two territory takeover is rare. And it’s usually to promote something. Back in 2016, Beyoncé did this to launch Ivy Park. If this is true, what’s Taylor up to? Gigi Hadid will be on the cover of US Elle’s March issue. Taylor Swift will be on the covers of both the US & UK April issues of Elle.